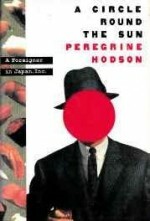 Circle Round the Sun, A: A Foreigner in Japan, Inc.
Hardcover. New York, Knopf, 1st, 1993, Book: Very Good, Dust Jacket: Very Good, 299 pages. Hardcover with dust jacket. Clean, unmarked copy with only minor wear to dust jacket.